Before you get started using Pinterest as a social marketer, you need to determine where your company’s brand will fit in. 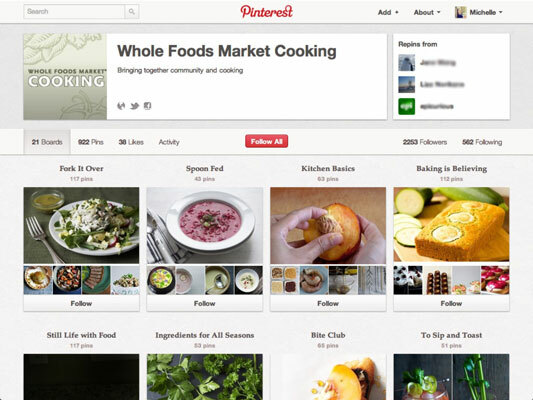 Take some time to see what a few brands are doing on Pinterest. 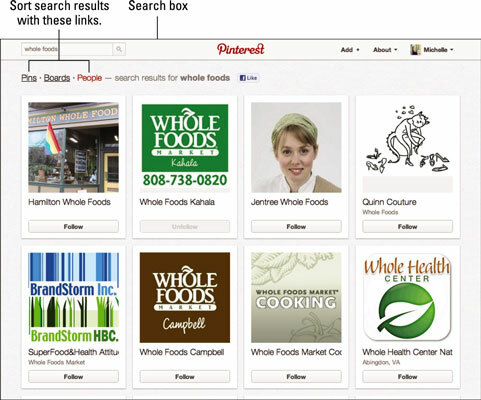 Whole Foods is a great example of a business that effectively uses Pinterest. Their boards tell the story of who they are, without being overly promotional. Type any company name into the Search box in the top-left corner of the page. You will see a results page with every pin using that search term. Beneath the search box are the Pins (selected by default), Boards, and People links. Pins: Shows all pins containing the search term. Boards: Shows all boards titled with a name that includes the search term. People: Shows all users who have that search term in their username or profile description. Click the Boards link to see the boards and the pins they contain. Check out boards that have a good variety of pins and start thinking of ways your brand can incorporate pinning.